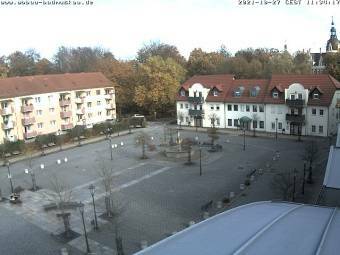 Webcam Bad Muskau: Weather-Cam Bad Muskau - Webcam Muskauer Park - View of Muskau Castle, Schlossstrasse and contruction site of the Parkhotel 'Fürst-Pückler'. Cottbus: South Cottbus, 22 mi. Senftenberg: Senftenberg Market Square, 30.5 mi. Burg (Spreewald): Spreewaldhafen Waldschlösschen, 31.3 mi. Kamenz: Kamenz Airfield, 32.7 mi. Elstra: Elstra Market Square, 33.8 mi. Wilthen: View over Wilthen, 33.9 mi. Lübbenau: Great Spreewaldharbor, 38.8 mi. Pulsnitz: View of Pulsnitz, 40.5 mi. 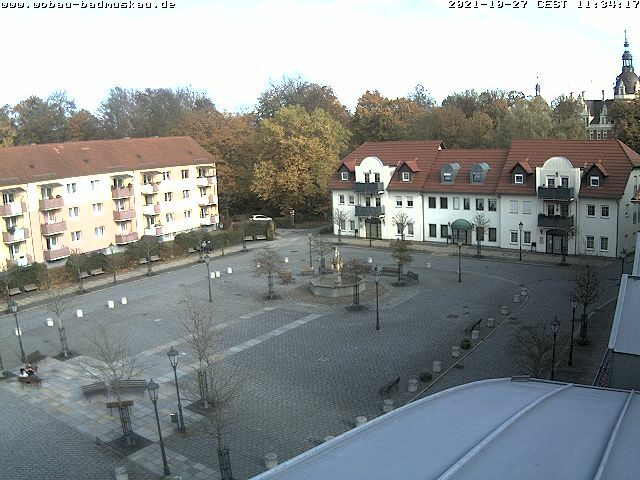 This webcam Bad Muskau with the theme City Views was added on June 26, 2008 and is operated by Quint.Media. It got 16839 visitors since then. Shouldn't this webcam work or should the link be wrong please report that here. You can add this webcam here to myCams.